Start of Floor cloth Industry – The Fife Post………..for genealogy and historical information. The first floor cloth factory in Scotland was built by Michael Nairn in 1847-48 in the Fife town of Kirkcaldy his place of birth. Michael was born in 1804, the 3rd son of James Nairn, in fact James Nairn came from a family of Master Weavers. Michael’s great grandfather Andrew Nairn was the Deacon of the Guild of Weavers and his grandfather Robert also worked in the weaving trade. As a boy Michael Nairn was destined for the weaving trade, which had picked up after the Seven Years War of 1756-63 between Austria and Germany and the Napoleonic Wars from the end of the 17th century until 1815, he was first apprenticed to a firm in Dundee alongside James Cox who later became one of the pioneer jute barons of Dundee. Michael opened a canvas weaving business in Coal Wynd, Kirkcaldy in 1828, supplying canvas to floorcloth firms in England. Floorcloth grew very quickly to rival linen as the town’s staple manufacturer. With the introduction of linoleum in 1877, Kirkcaldy soon became the largest producer of the new floor covering in the world. Canvas Factory, Coal Wynd, Kirkcaldy. 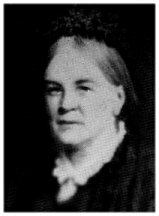 A few years later in 1836 he met and married Catherine Ingram, a daughter of Alexander Ingram of St Mary’s bleach fields. Michael Nairn decided to try to get into the floor cloth business, to start his own company. 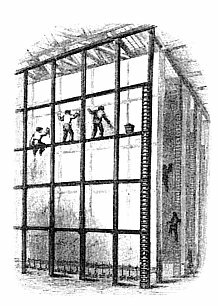 In 1847 he borrowed 4000 pounds for construction of his first factory from bankers, he understood there would be no quick repayment for this outlay, as it took months for the floor cloth to mature before it could be sold, The cloth was dried by the heat of the sun from the south facing windows. His first floor cloth factory in Nether Street on top of cliffs at Pathhead sands was therefore dubbed by sceptics “Nairn’s Folly”. In fact it was 1849 before he made any profit at all, the banks must have had great faith in Michael Nairn because they loaned all the money throughout this period, because he had no other partners or backers. Michael worked day and night running the business, travelling all over to try and sell his cloth, in 1851 he exhibited his Scottish Floor cloth at the Great Exhibition at Crystal Palace, unfortunately it won no prizes , but he was a determined man, he would succeed, his efforts were beginning to take a toll on his health and despite warnings to slow down he died in 1858 aged 54, believed absolutely exhausted from his efforts. After the death of Michael, his company Nairn’s continued to expand as a result of technical improvements and the ever increasing demands for the goods on offer. Catherine his widow, son Robert and manager James Shepherd, formed a partnership, the profits being split five sevenths to her and one seventh to each of her partners (a shrewd business woman). 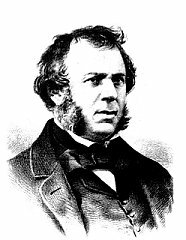 In 1861 they were joined by another son, Michael Barker Nairn, extensions were made to the “Folly” and there success encouraged other firms to be formed. At the 1862 Exhibition in London and the 1867 Paris Exhibition Nairn’s Floor cloth came into its own and won the prizes Michael had tried for before his death. An added impetus for Nairn’s was given by the establishment of Kirkcaldy’s water supply in 1868 which provided a more secure source of power for the factories. The harbour also being vitally important for the import of raw materials and the export of finished goods. By 1874 as well as Nairn’s there were five floor cloth manufacturers in Kirkcaldy. Formed in 1864, a partnership between James Shepherd who had left Nairn’s and Michael Beveridge. Their Kirkcaldy Floor cloth Works was severely damaged by fire in 1868 but was rebuilt. Michael Beveridge had worked in insurance in London and was later Provost of Kirkcaldy. From 1873, James Shepherd lived in Rossend Castle. Formed in 1869, they built the National Floor cloth Works. 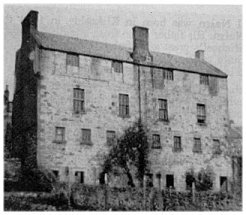 Hendry, a town bailie, had been in the flax spinning trade, George Whyte had a hand loom weaving business and John Strachan was another local merchant. NORTH BRITISH FLOORCLOTH CO. LTD. Formed in 1872 whose works in Sinclairtown were run by John Aytoun a flax spinner and other Kirkcaldy merchants and manufacturers. A massive works 236 feet long, 114 feet wide, 68 feet high; it had room for 32 printers’ tables but did not operate at full capacity in these early years. Incorporated in 1873 and operated by John Whyte, former manager at Nairn’s; Robert Douglas of the Kirkcaldy engineering firm, Douglas and Grant and a group of Ayrshire ship owners .The works near the railway station were severely damaged by fire in January 1880 and the company was forced into liquidation. Who opened the Caledonian Floor cloth Works in 1874. John Tait had once been a butler in Dunnikier House Kirkcaldy but worked himself into business, setting up a small factory, the Rothes Floor cloth works in Leslie, before building the new works near Kirkcaldy Railway Station. Reformed as Tait, Cairns and Co Ltd in 1883. Shepherd & Beveridge, Kirkcaldy. 1890 – 1899. Kirkcaldy Linoleum Co Ltd, Kirkcaldy. 1890 – 1899. Kirkcaldy was dominated by the enormous size of these factories and many of the town’s institutions were donated by the company owners, Beveridge Park, Kirkcaldy High School, Cottage Hospital and the Museum and Library. The floor cloth and linoleum manufacture was concentrated in and around FIFE; there were smaller companies in Dundee, Falkland, Newburgh, Perth and Stirling. Kirkcaldy floor cloth was being exported throughout the world; large warehouses were opened in major cities in Britain and the Continent. 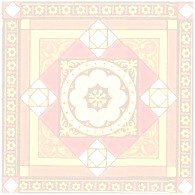 Kirkcaldy Floor cloth was laid on Tsar Alexander II of Russia’s yacht in 1880. Canvas was stretched, on large wooden frames as tightly as a drum in the frame room or trowelling house. Coats of size, thin liquid resembling soap suds were spread on to seal the canvas using broad, flat brushes. Next a layer of treacly paint was laid onto the canvas using 15 inch long trowels. In the early years this was all done by hand by workers standing on wooden scaffolding between the lengths of canvas. Later, trowelling machines were used. Each piece of canvas was 25 yards long, 8 yards broad and received a number of coatings, each of which had to dry before the next layer could be applied. Both sides were treated; the upper side received the more coats than the backing. Rubbing pumice stones between the coats ensured a smooth surface. After trowelling the cloth was transferred to a much smaller printing loft at the top of the building. Trowellers, carrying out a dangerous job, many were killed or badly injured. Printers worked in pairs, each with an apprentice known as a tier-boy. “Tier” is a Scots verb meaning “to spread” or “to plaster”, for it was the job of the boys to spread paint onto pads or colour tables. The printer then dipped a printing block onto the pad, placed it on the floor cloth and hit it with a mallet to make the pattern. By the mid 1860’s, hand presses operated by levers replaced the mallets. Great precision had to be taken as mistakes had to be scraped off and printed again. 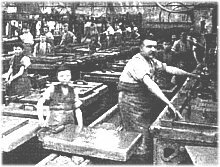 Kirkcaldy firms employed their own block cutters, a skilled job indeed, either they gouged out the pattern on the wood or by inlaying strips of brass and small pins to achieve the pattern required. Each colour in the pattern required a separate block; in some patterns more than 58 blocks were required. Clothes were so covered in paint; they were like floor cloth themselves. That Queer like Smell poem, by Mary Campbell Smith. A former employee now residing in New Zealand has sent a paragraph to update the story a bit more. Nairn started manufacture in 1840’s Barry’s late 1890’s. Nairn was an International company employing over 2000 people in the 1970’s. Barry’s products were not able to keep up with market trends of newer products. Nairn first amalgamated with Williamson from Lancaster hence Nairn Williamson then Unilever bought the company in the mid 70’s and invested around 20 million creating at that time the best 4 metre vinyl plant in the world. Unilever sold the company to Forbo in the 80’s and because they had similar equipment in Holland Nairn was the loser and they only kept on the Linoleum manufacture in the Kdy plant as is today. Over all a sad loss to Kdy. Linoleum and Vinyl should not be described as the same product as they are manufactured and ingredients are totally different. The manufacturing plant in Australia is Armstrong producing Vinyl sheet and tiles. My mum’s father Alexander Murray, worked at the Barry Ostler & Shepherd factory as a flax dryer in between both World Wars in which he served, I wish I knew more about his flax work thank you for the above information.